Tidy, spacious and beautiful property with all amenities catered for. Will definitely be returning. Located right at the heart of the hamlet of Port Gaverne, opposite the pub beer garden, you will feel very much a part of the community in Jasmine. Enjoy glimpses of the sea from the kitchen in this cosy, single storey cottage with parking just outside. The beach and pub are a stone’s throw away and walks can be enjoyed along the dramatic North Cornish coastline literally from your door. 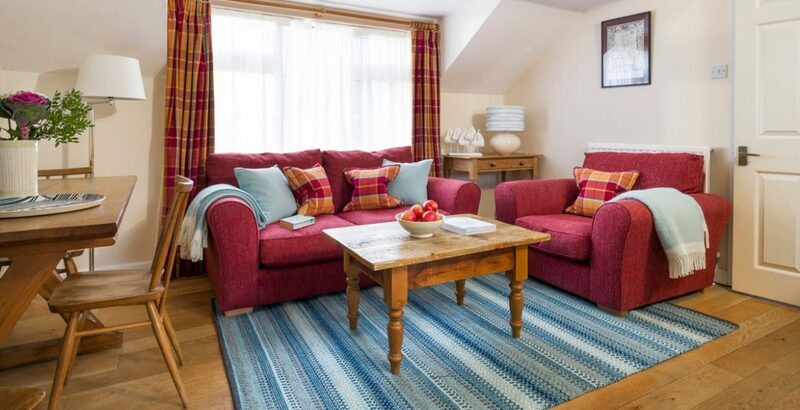 Jasmine Cottage is ideal for smaller families, couples or those with limited mobility. The king and single bedrooms and the bathroom lead off the living area. 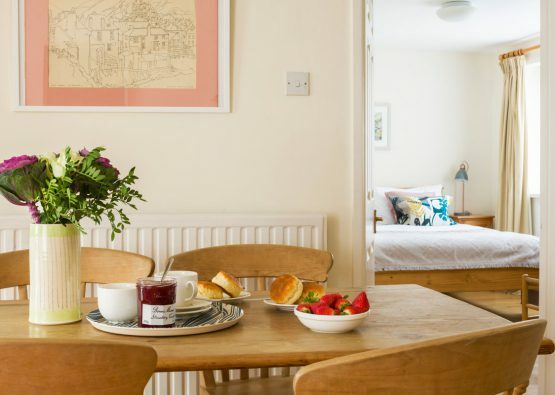 The cottage is tastefully furnished with Victorian pine furniture, and the large window in the kitchen/dining/living room overlooks the courtyard garden, flooding this welcoming room with morning sunshine. 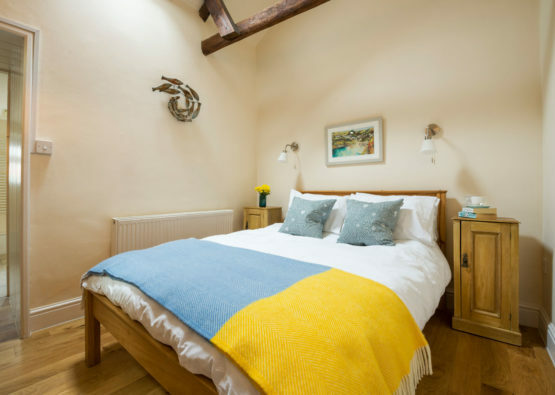 Solid oak and tiled floors enrich this cottage and cosy furniture make relaxing a pleasure after a bracing walk along the coast, before sampling locally caught fish or tasting the ale in the pub opposite. 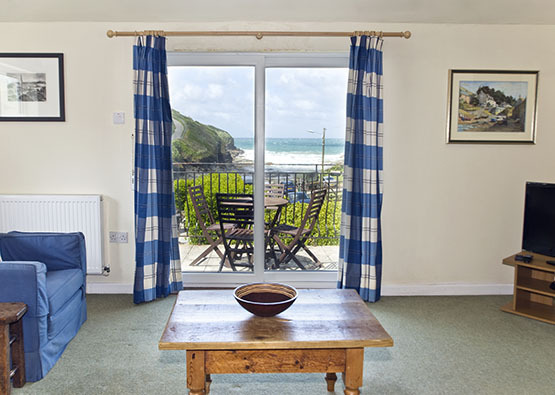 Jasmine Cottage is one of a number of delightful properties nestled in the beautiful, secluded cove of Port Gaverne on the north Cornish coast. Owned by the National Trust, Port Gaverne is a sheltered inlet that has a small sandy beach at low tide, rock pools and caves, cliff walks with magnificent views and stunning sunsets. 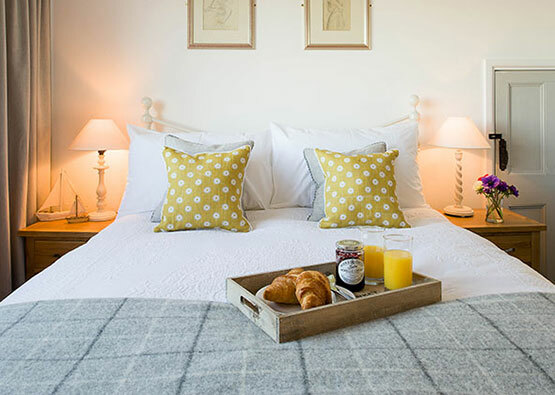 This small group of cottages are a delightful collection of restored 18th Century Cornish buildings that were originally fishermen’s dwellings and now make eight attractive self-contained holiday cottages positioned around a sunny courtyard garden, and just a stone’s throw from the beach. Port Gaverne is also just a five minute walk from Port Isaac; location of the popular Doc Martin series. This quaint little town is a fourteenth century fishing village with winding lanes, whitewashed cottages and a wide range of restaurants. 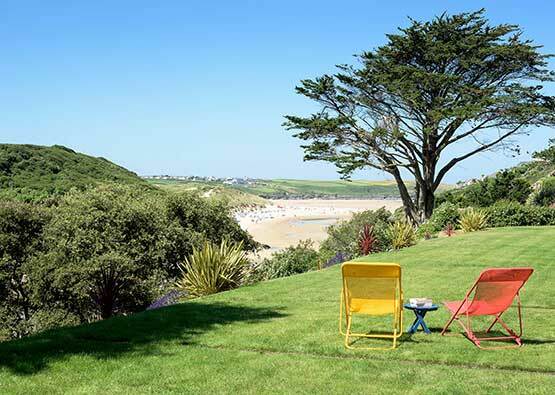 Jasmine Cottage and its surroundings offers a tranquil haven to enjoy a self-catering holiday in Cornwall. Port Gaverne sits right next to (and often in the shadow of) Port Isaac, of Doc Martin and Poldark fame. However this little hamlet has a charm all of it’s own, away from the crowds of the neighbouring village but just a ten minute walk to the neighbouring village’s most impressive claim – not one but two Nathan Outlaw restaurants. In Port Gaverne itself you’ll find an award-winning pub, direct access to the coastal footpath, and its own dog friendly beach – all you need for a coastal Cornish break. Port Gaverne came to being in the nineteenth century, as a working port where slate from the nearby quarry was loaded onto ferries. The narrow streets used to be filled with carts going backwards and forwards, and soon it welcomed a roaring sardine and pilchard trade too, making it one of the busiest and most lucrative ports in North Cornwall. In 1893, a railway was built that was far more efficient for the transportation of slate, and Port Gaverne started to slow down. With Port Isaac’s large harbour and breakwater, the fisherman preferred it to Port Gaverne, and the hamlet returned to a sleepy seaside spot that feels as though it’s just you and the sea. In the summer, while the streets of Port Isaac are flooded with coach trips and summer holiday traffic, Port Gaverne basks in peace and quiet. Its residents and visitors are left to enjoy the beach, coastal footpaths and the two eateries – the Port Gaverne Hotel and Pilchard’s. Port Gaverne’s dog friendly beach is a small one, but wait for the tide to go out and you’ll be rewarded with sand between your toes, rockpools to search through and caves to discover. For those with a taste for adrenalin, this sheltered cove offers some excellent guided coasteering too – get hold of Cornish Rock Tors who will guide you along cliffs and through the water. They also offer wild swimming sessions, kayaking, and stand up paddle-boarding, as well as plenty other land-based activities – so if it’s an active holiday you’re after then look no further. Head east out of the village along the coastal footpath, and on a clear day enjoy the views up the coast to Tintagel. If you’ve got your walking gear on, continue along the coast and seek out Tregardock beach – with a waterfall, great surf and hardly a soul on it, this beach will leave you feeling as though you’ve been the first to discover it. Head west, to the next village, and discover the set of Doc Martin’s hometown, Portwenn. Find the school, the harbour and the cobbled streets as though you’ll bump into Martin Clunes himself around the next corner . Although it’s rumoured that the show has completed it’s filming now, Clunes hasn’t been shy to profess his love for the village, so our bet is that he’ll be back! Continue down the coast to arrive at Rock, with it’s reputation as a millionaire’s playground for a totally different landscape and atmosphere. Enjoy dining at yet another of Nathan Outlaw’s restaurants, or hop on the ferry across the Doom Bar estuary to Padstow. From Rick Stein to Paul Ainsworth, Padstow is spoilt for eateries, and is also a great place to spend a day come rain or shine. Hire bikes and cycle the picturesque Camel Trail, our enjoy the local shops and galleries filled with local crafts and produce. 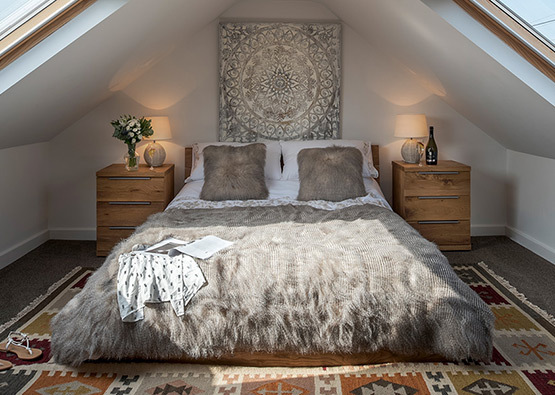 Port Gaverne is the perfect escape to the seaside and countryside. With amenities nearby, award-winning food and drink at your doorstep and stunning scenery, this little cove makes the perfect base to explore North Cornwall; and whatever the weather, there’s plenty to discover. Newquay Airport is 20 miles from Green Door Cottages. You can fly to Newquay from London Gatwick, Manchester and the Isles of Scilly all year round with summer flights to and from London Stansted, Edinburgh, Aberdeen, Birmingham International, Doncaster Sheffield, Newcastle, Belfast City, Dublin and Düsseldorf. Airlines include Flybe, Aer Lingus, Skybus and Eurowings. Port Gaverne is 20 miles from the A30, with a driving time from London approximately 5 hours with good traffic and Exeter is roughly an hour and a half away. Full details to plan your route will be available on booking. Port Gaverne is about 17 miles from the nearest mainline station at Bodmin Parkway. Regular and convenient services run from all over the UK. Have stayed at Jasmine several times and always enjoy being there. Second year at Jasmine and it never fails to impress. Tidy, spacious and beautiful property with all amenities catered for. Will definitely be returning. We having been staying at these cottages for many years, and now three generations of our family absolutely love it! As always, it was a wonderful week. There's so much to see and do locally, with great walking and good pubs! My wife and I stayed for a long weekend in December so we were very pleased that the cottage was warm and that directions for the control of the heating were available and easy to understand. The cottage was nicely furnished with very comfortable beds. We were especially impressed by how well equipped the kitchen was. The reason we chose this cottage, of course, was the proximity of the Port Gaverne hotel next door with its cosy bar - perfect for a pint and the daily newspaper - and its fabulous restaurant. All in all we were delighted with the whole experience and would recommend this property highly.